The ‘Renewable Energy Project Transaction Portal (RE-PORT)' is an exclusive and the first of its kind, IT driven dedicated online Renewable Energy Project transaction platform. RE-PORT is one of CECL's ambitious initiatives, set to enhance the efficiency of bulk transactions in the RE domain. The interactive portal is principally placed to bridge the existing gap between RE stakeholders, create a shared space for RE transaction processing (i.e., buying/selling), enhance visibility of RE projects, and to deliver core business services in ‘24x7' setup. Eliminate the middleman, i.e. conciliators/agents. Enhance transparency among stakeholders, manifold decrease diversified risks associated with RE transaction such as investment/financial risks, performance related risks, etc. Deliver core business services in 24x7 mode. Sellers Register and submit RE projects alongwith basic details. 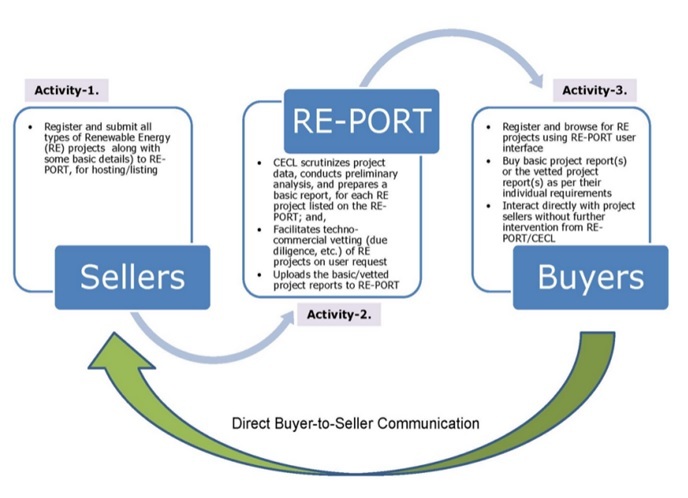 The core function of RE-PORT is to create a ‘mutually beneficial connect' between the Renewable Energy Project sellers and the Project buyers in many useful manner. 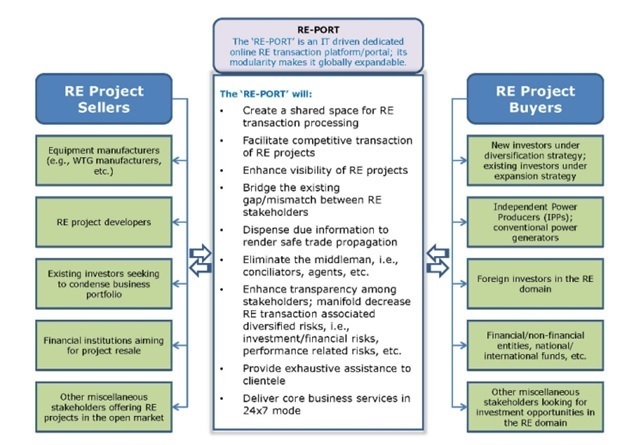 RE-PORT offers smarter and efficient Transaction of Renewable Energy Projects between Project Buyers and Sellers, linking the two ends under an informed and guided process for enabling mutually profitable Transaction. The CECL's expertise helps in presenting techno-commercial aspects of the RE-Projects making a direct value addition to the transaction process. New or an existing investors Independent Power Producers (IPPs) Conventional power generators Foreign investors in the RE domain Financial/non-financial entities National/ international funds, etc.